← Why Should I Seal / Impregnate My Stone Surface And Grout? 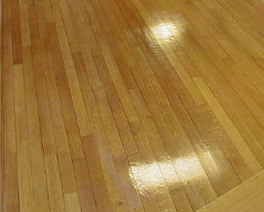 Floor Restore Oxford Ltd are fully trained in wood floor sanding in Oxford and we know how much time it takes and the disruption it causes, and also how expensive it can be! This is why we have decided to offer the non sanding approach to making your wood and laminate floors looking gorgeous again! 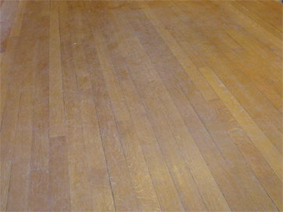 We can clean and re-finish your floors to achieve outstanding results! There are no hazardous fumes, no dust and you can remain at home whilst the work is being carried out. Best of all, this can be done at a fraction of the cost of sanding and takes much less time! Whilst sanding is the only way to restore old floorboards that are badly curled or cupped at the edges, this revolutionary new system is eminently preferable for most flat wooden surfaces including laminate! If your floor looks worn, tired and dull after normal every day use, we can beautifully restore it to bring back its lustre. We can even remove minor scuffs and scratches and repair any deeper scratches. The finish is twice as durable as traditional wood finishes and is scuff and scratch resistant with an easy clean finish making it low maintenance for you.